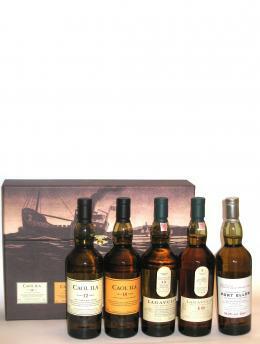 Islay Collection is a pack of some Diageo’s Islay whiskies like: Caol Ila, Lagavulin and Port Ellen. It is a pack for peat lovers. So stay away if you don’t like peat whiskies. It is a cheap way of tasting some great malts like Port Ellen and Lagavulin. I got my pack for �70 but it is usually around �100. Anyway given that Port Ellen full bottle is so expensive the pack itself is cost less than the 20cl bottle of PE. I will post the tasting of the whiskies on the next days.